Contest period: 4 weeks for a period of 1 month:- Monday, September 4, 2017 – October 4, 2017. All entries must be received and recorded during the Sweepstakes Period. 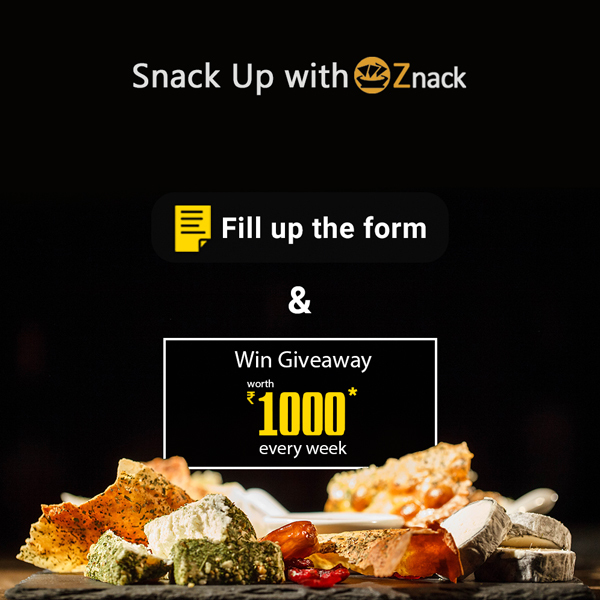 Eligibility: Employees of Znack are not eligible. Contestants must be age (15) or older. Contestants must also be legal residents of Chennai, India. Every week, one prize will be awarded. All qualifiers will be notified by a phone call to the number provided in their entry submission. Prize winners shall be required to sign an affidavit of eligibility, release and indemnification. Decisions of the Znack are final. Odds of winning any prize depend upon the number of eligible entries received. The winner will be notified every week on Monday post the completion of every week during the contest period.